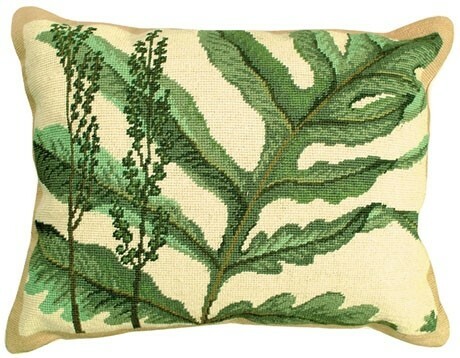 The Wide Leaf Fern Pillow is a beautiful handmade needlepoint pillow. The face of this Needlepoint pillow is 100% wool and is made up of roughly 100 stitches per square inch. 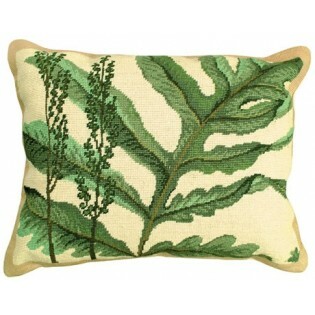 Lovely shades of Green make up the Fern design with a large Fern gracing the front of this pillow. The Fern leaf lies upon a beige field.